If you’re looking for Fidelis Care health insurance quotes, you need not go far. Vista Health Solutions can connect you with leading health insurers in your area. With Vista Health you can find reliable health insurers with quality health plans like Fidelis Care health insurance. We make finding health insurance convenient for you. By entering your zip code you will find all the plans available for you including Fidelis Care health insurance plans. Our site makes it easy for you to compare the plans side by side. And should you need any clarification, you can just call our customer service number and our representatives will happily assist you. 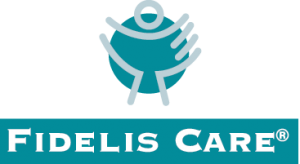 Since 1993, Fidelis Care has been serving New York residents with quality health insurance. Their main focus is to provide exceptional care while also encouraging healthy living. In 2012, “Consumer Guides” for Managed Care listed Fidelis Care’s Children’s Plus Plan as number one for its top-notch care and patient approval. By 2013, it met all the standards to be considered a Qualified Health Plan according to the Affordable Care Act standards and became one. Please use the link above to generate an Fidelis Care Instant NY health Insurance quote.